In September 2016, India signed an inter-governmental agreement with France, dubbed as "Rafale deal", in which India bought 36 off-the-shelf Dassault Rafale twin-engine fighters for a price estimated to be Rs 58,000 crore or 7.8 billion Euros. India and France signed deal for buying 36 Rafale fighters on September 23, 2016. In April 2015, Prime Minister Narendra Modi had announced that India will buy 36 French-manufactured Rafale fighter jets off-the-shelf from Dassault, the French aircraft builder and integrator. The Rafale was chosen in 2012 over rival offers from the United States, Europe and Russia. The step was needed to upgrade India's ageing fleet. The original plan was that India would buy 18 off-the-shelf jets from France's Dassault Aviation, with 108 others being assembled in India by the state-run Hindustan Aeronautics Limited or HAL in Bengaluru. 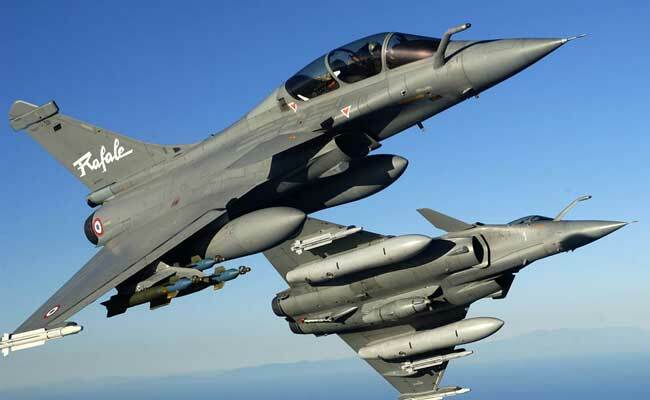 The Modi-led BJP government, however, rowed back from the commitment of the last UPA government to buy 126 Rafales, saying the twin-engined planes would be too expensive and the deal fell through after nearly decade-long negotiations between India and France. There were a lot of hiccups over costs of the aircraft. However, faced with the dipping number of fighters and a pressing need to upgrade the Indian Air Force, Prime Minister Narendra Modi intervened and decided to buy 36 "ready-to-fly" fighters instead of trying to acquire technology from Dassault and make it in India. Soon after the deal was declared, the Congress accused the ruling BJP of non-transparency in the multi-billion dollar deal and called it "one of the biggest failures" of the 'Make-in-India' programme. In January 2016, India confirmed order of 36 Rafale jets in defence deal with France and under this deal, Dassault and its main partners - engine-maker Safran and electronic systems-maker Thales - will share some technology with DRDO (Defence Research and Development Organisation) and some private sector companies and HAL under the offsets clause. The twin-engine Rafale combat jet is designed from the beginning as a multi-role fighter for air-to-air and air-to-ground attack is nuclear-capable and its on-board Electronic Warfare (EW) systems can also perform reconnaissance and radar jamming roles. 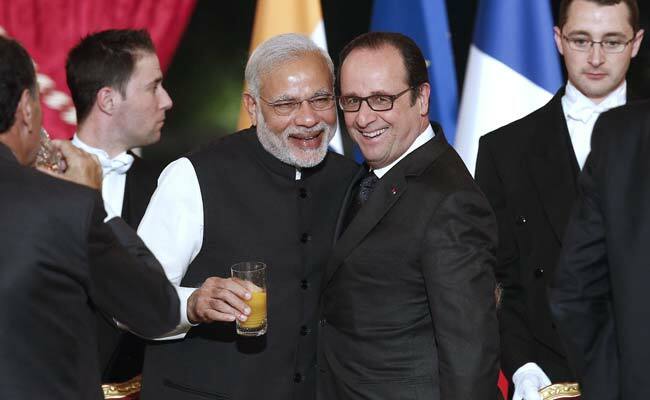 Nearly one- and-half years after Prime Minister Narendra Modi announced the proposal during a visit to Paris, finally in September 2016, India signed an inter-governmental agreement with France, dubbed as "Rafale deal", in which India will pay about Rs 58,000 crore or 7.8 billion Euros for 36 off-the-shelf Dassault Rafale twin-engine fighters. About 15 per cent of this cost is being paid in advance. As per the deal, India will also get spares and weaponry, including the Meteor missile, considered among the most advanced in the world. Additionally, an accompanying offset clause was sealed through which France will invest 30 per cent of the 7.8 billion Euros in India's military aeronautics-related research programmes and 20 per cent into local production of Rafale components. In November 2016, however, a political warfare over the Rafale deal began and the Congress accused the government of causing "insurmountable loss" of taxpayers' money by signing the deal worth Rs 58,000 crores. It also claimed that the Anil Ambani-led Reliance Defence Limited had been unfairly picked to be the French firm's Indian partner. The Congress alleged that the cost of each aircraft is three times more than what the previous UPA had negotiated with France in 2012. The claims were rebutted by Defence Minister Nirmala Sitharaman and Anil Ambani-led Reliance Defence Limited with the government saying that the renegotiated deal was transparent and better than the deal negotiated by the previous UPA government as it includes a superior weapons package and logistical support, which had been absent in the previous one. Reliance Defence had also said that its subsidiary Reliance Aerostructure and Dassault Aviation formed a joint venture - Dassault Reliance Aerospace, after a bilateral agreement between two private companies and "the Indian government has no role to play in this." The Congress, however, kept up its attacks on the government for refusing to table details of the Rafale deal over alleged irregularities. The Defence Minister Nirmala Sitharaman told the Parliament earlier this week that the details of the deal with France for the Rafale fighter jets cannot be disclosed as per the inter-governmental agreement as it is "classified information". Officials say that due to national security reasons, there is a confidentiality clause in the Rafale deal which bars the buyer and seller from talking about the pricing, making it impossible for any government to reveal any detail about the defence deals. In a counter-attack to the Congress, Finance Minister Arun Jaitley accused the party of "seriously compromising" country's security by seeking details of weaponry purchased along with the aircraft. He also advised Congress chief Rahul Gandhi to "learn" from former Defence Minister Pranab Mukherjee "lessons on national security". The delivery of the Rafale jets is scheduled to begin from September, 2019.